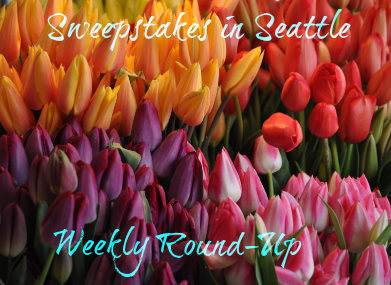 Sweepstakes in Seattle Weekly Round-Up 3/25 – Win $250,000, a trip to Nashville, gift cards & more! It’s officially spring and we’re still getting snow! At least we’re only getting snow that melts almost instantly. There are tons of great spring sweepstakes to enter. I haven’t heard from any winners lately. I personally have won a few Facebook giveaways from different stamp companies (rubber/acrylic stamps – the kind used for crafts like card making and scrapbooking). I follow quite a few companies on Facebook and they often have giveaways. If you have a hobby you love, I encourage you to find Facebook pages that go with that hobby and keep an eye open for giveaways. Let me know if you won a prize recently and I’ll share it on the next weekly round-up!